It has been a busy couple of weekends for NSCRO Men's Rugby! In our Challenge Cup news, University of Wisconsin-Stevens Point beat Minnesota State University Moorhead 39-24 in our Region 2/Central Championship, hosted by Madison United Rugby at the Wisconsin Rugby Sports Complex in Cottage Grove, WI. UW-Stevens Point will go on on to play in the 2019 NSCRO Men's 15s Challenge Cup in March. Fairmont State University and Vanderbilt University could not get past their semifinal matches in the Region 2 Championship and brought a close to their season. Washington & Lee University, University of Massachusetts Dartmouth, Niagara University and La Salle University all met at Siena College in Loudenville, NY for the Region 1/East Coast Championship. In the end, Washington & Lee secured their slot at the Challenge Cup as the East Coast Regional Champion, defeating University of Massachusetts Dartmouth 85-5. In our Champions Cup, we start with the Region 1/Northeast Regional Championship which was also held at Siena College. Endicott College, Monroe College, Ithaca College, and Salve Regina University braved the cold temperatures for a chance to go to the 2019 NSCRO Men's 15s Champions Cup in April. At the end of the weekend, Endicott College won with a final score, 64-15 against Salve Regina University while Ithaca defeated Monroe College 43-25 for third place. In the South Cup, Eckerd College hosted Spring Hill College, Valdosta State University, and the University of North Alabama. In a tightly matched game, Eckerd and UNA were tied 20-20 at the end of regulation in the championship match which sent them into overtime. Eckerd emerged 23-20 and will move on to the Region 2/Mid-Atlantic South Region Championship on 01-02 December. The Catholic University of America beat Bucknell University 43-5 in the Mid-Atlantic South Qualifier, earning their spot in the Region 2 Championship. Loyola University Maryland defeated Susquehanna University 38-33 in the Mid-Atlantic North Qualifier, earning a spot at the Region 2/Mid-Atlantic South Regional Championship. 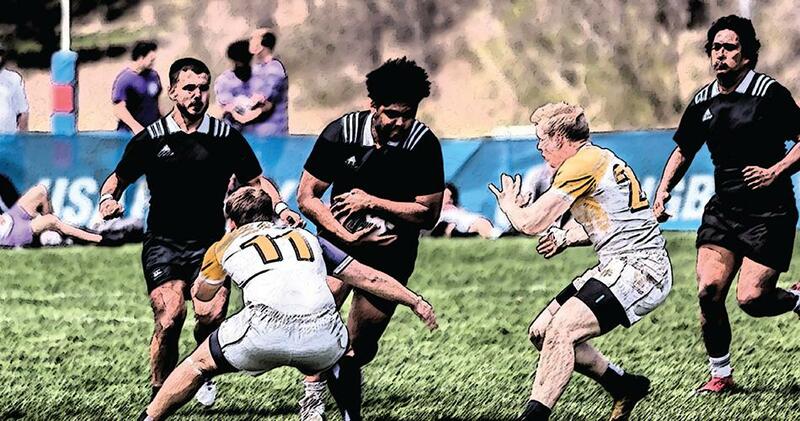 In the Mid-South Qualifier, Christendom College defeated the College of Charleston 62-5 to qualify for a spot at the Region 2/Mid-Atlantic South Regional Championship. All matches and the award ceremony will be live-streamed on our YouTube Channel.